The majority of the Fork Truck Attachments deal with the lifting, moving and tilting drums of steel, plastic or fibre-board construction and of varying shapes, sizes and weights. Exporting more than 45% of production to all parts of the world, St Clare are considered one of the world leaders in drum handling with their Grab-O-Matic range of attachments. In recent times the product range has been extended to include Self Dumping Hoppers, Stacker Trucks, Work Platforms, Sweepers, Pedestrian Drum Trolleys and Reel Turning Units, Snow Ploughs and Towable Salt Spreaders. We also manufacture special items to customer requirements, all that is required is a sketch or verbal description of the problem to produce a firm price and delivery. All items are robustly constructed and can be fitted to most Fork Trucks in seconds without the need for Electric or Hydraulic connections. Safety issues are paramount when designing, manufacturing and using fork lift truck attachments, with this in mind all our attachments carry the CE mark, are issued with a certificate of conformity and full operational instructions. All frames and pillars are made from 6-12mm steel. 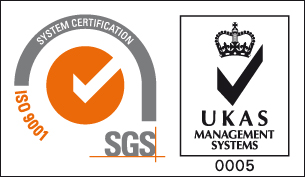 To compound our policy on quality, the attachments are manufactured in the UK to ISO 9001:2015 and issued with Test Certificates to confirm Safe Working Loads, providing you with assurance and peace of mind. Grab-O-Matic handling aids are manufactured entirely in the UK by precision engineers, backed up by 100% inspection. 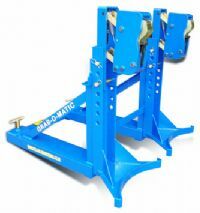 Because of the high degree of engineering and careful choice of materials and treatments used, Grab-O-Matic units are virtually maintenance free and only require occasional oiling. A full after-sales and back up service is available with all Grab-O-Matics, repairs are carried out quickly and efficiently on all equipment to minimise operational downtime….